This is the concluding part of the series about why IIT Madras is a land of opportunities. Whether for placements or for higher studies, spending a semester abroad on an exchange programme is a good way to broaden one’s horizons – 70 students did that in the academic year 2014-15. 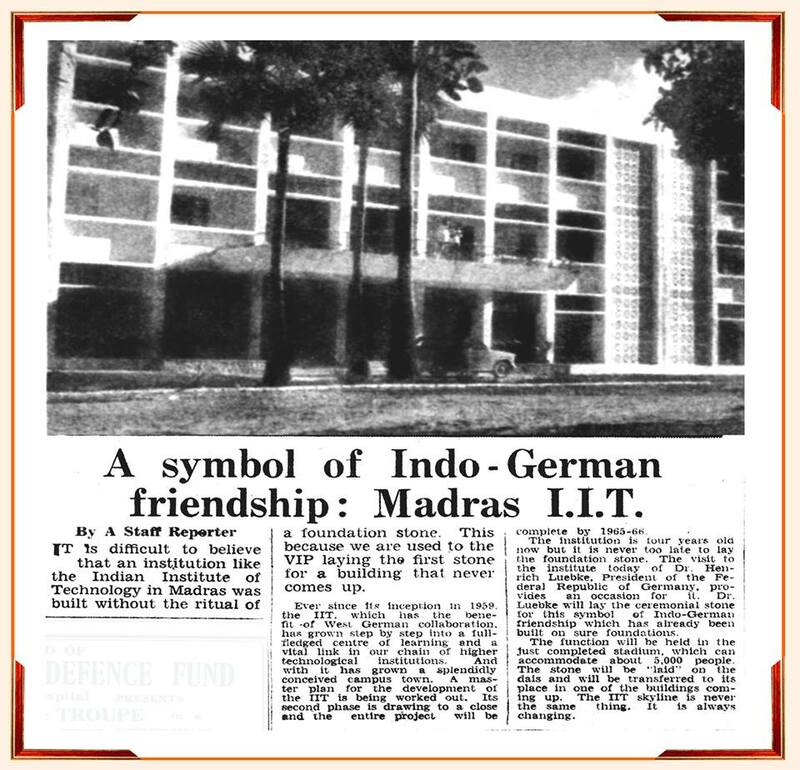 Germany has always had a special relationship with IIT Madras, having offered their assistance when the institute was founded in 1959. That continues today with DAAD, the German Academic Exchange Service, offering a wide range of fully-funded internships, exchange programs, joint degree programs, and a sandwich program for Dual Degree students for pursuing their Master’s degree in Germany. A DAAD exchange faculty is also present in the institute and acts as a facilitator for DAAD-related applications. But it’s not just Germany. IIT Madras has Memorandums of Understanding with over a hundred leading universities across the globe. In Asia, these include the Nanyang Technological University, Singapore; SNU, South Korea; National Tsing Hua University, Taiwan; and the University of Tokyo, Japan. In Europe, students have opportunities to study at CTU Prague, TUM Munich, ETH Zurich, and KTH Royal Institute of Technology, Sweden, and many others. The University of Melbourne, Australia and Concordia University, Canada are also universities that are sought after by students. 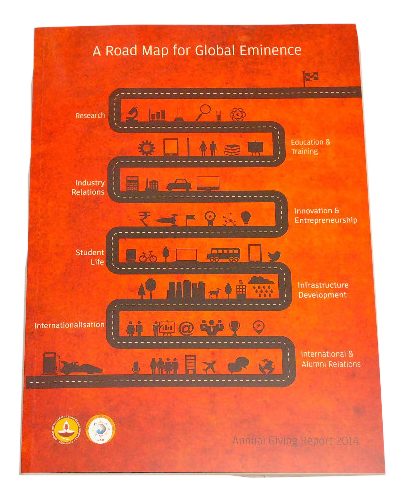 In November 2014, IIT Madras was offered membership of the Asia–Oceania Top University League on Engineering, thus opening up even more opportunities for the faculty and students to collaborate with their counterparts in the twelve other premiere engineering universities in the Asia–Pacific region that form this consortium. The Office of International Relations (OIR) forms the link between IIT Madras and foreign universities, and assists students with the application and visa procedures. If you find a research internship opportunity abroad, or if you wish to apply for well-known international scholarships such as MITACS and Champark, the OIR can help you through the process. All you need to do to get started is send an e-mail, or just walk in to their office. The traffic isn’t all one-way: the OIR is also involved in accepting students from foreign universities and in facilitating their stay at IIT-M for both semester exchanges as well as research programs. The majority of the students who go abroad for exchange programmes are undergraduates who also receive support, just as the postgraduates do, to attend international conferences, which is often through alumni-funded travel grants. From the next academic year, students stand to benefit from the curriculum revisions that will be implemented. The course-load per semester will be lighter and there will be more freedom to pursue one’s interests by taking more electives from outside one’s department. Students who wish to convert from a B.Tech programme to a B.Tech + M.Tech Dual Degree programme can choose to do their M.Tech in a different department, or in interdisciplinary areas such as data sciences, robotics, or nanotechnology. This freedom applies to the B.Tech and Dual Degree projects too. What’s more, motivated undergraduate students can now get first-hand experience of research by pursuing independent work under the supervision of a faculty member. But working alone isn’t enough – teamwork and communication skills are more important than ever today. So the time students spend on, and the skills they pick up by, working on IITMSAT or a CFI project will now count for credit. Enabling students to take advantage of all these opportunities is the academic freedom at IIT-M that so decisively allowed Kris to switch from Physics to Computer Science. “Ours was the first batch of M.Sc. students who got admitted to a postgraduate programme in engineering,” says Kris. Prof. Mahabala too found IIT Madras a haven. “Thanks to the opportunity I got at IIT Madras, we had fun with computers. It is through fun that something interesting happens,” he says. Nearly four decades later, living in a still-green campus that’s home to deer and blackbuck, taking part in inter-hostel, national, international competitions, the Inter-IIT Sports Meets and other sporting events, and hosting the technical and cultural festivals Shaastra and Saarang, students at IIT Madras certainly have fun. Along with it, through the exemplary work of the faculty members, the administration, the alumni, and generations of students, the sense of adventure that drove Prof. Mahabala and Kris still thrives at IIT Madras. All the four parts of this series of articles can be found here. Contributors: Ananth Sundararaman, Arjun Bhagoji, Akshay Rangasai, Nithin Ramesan, Nithyanand Rao, Sachin Nayak, Vishakh Hegde.